It is safe to say President Trump did not read the new National Intelligence Strategy of the United States released on Tuesday. 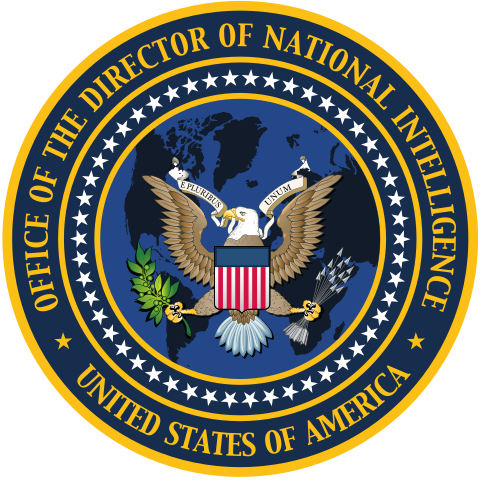 The document shows the intelligence community (IC), meaning the 17 U.S. intelligence agencies, is mobilized against the threat posed by Trump, his incoherent impulses on war and peace, and his furtive machinations with Russia. Much of thee 36-page glossy report, issued by Director of National Intelligence Dan Coats, will be daunting to outsiders: boilerplate mission statements mixed with inter-office shoutouts, and deep dives on complex oragnizational issues. But the key sentiments are stated up front. They could not have been read by Trump because they are aimed at his Russian friends, and they are hostile. The IC is on record (again) as saying: the threat of Russian penetration is no hoax. Some note that the IC finding on Russian interference in the 2016 election was only signed by four of these 17 agencies. The other 13 agencies have now weighed in. They don’t disagree much. Which is a good thing too. The idea that a network of lightly armed religious fundamentalists posed as an existential threat to the American people was a Bush-Cheney meme that expired along with Osama bin Laden. The rise of Trump has coincided with–perhaps caused–the decline of counterterrorism as a declared U.S. policy priority. Which is another good thing. This is not to praise Trump’s geopolitical acumen (of which he has none), merely to state the facts. The last 18 years of counterterrorism policy has made Americans (but not Europeans) marginally safer. It has cost us $5 trillion. It has embroiled our volunteer army and legion of contractors in undeclared wars in Afghanistan, Iraq, eastern Syria, Yemen and Somali. The benefits of these wars to the American people are far from clear. Yet, in every theater victory is clearly impossible. The NIS is saying, it’s time to move on. The question is where does U.S. intelligence go after Trump? Russia has been elevated as a threat but it is not defined as an existential threat, as jihadist terrorism was from 2001 to 1018. I think the IC–or if you prefer “the deep state”–is looking for legitimacy, which Trump threatens. Russia now seems more threatening to U.S. intelligence community than Iran or jihadist terror. Which is accurate but no reason for new Cold War. It is reason to reduce and eliminate Russia’s nuclear arsenal–and to do the same with our own nukes. Bottom line: Russia is the growing threat to the United States, according to intelligence community. If the president says Russia is no threat, well, he doesn’t read U.S intelligence reports, least of all this one. Daniel Benjamin, late of Obama’s NSC, and David Rothkopf, host of Deep State Radio, explain the reality: Trump is getting played by his spies, and he doesn’t know it. It's true. It's like the entire Intel Community has decided to wear "I'm with stupid" or "I'm with the traitor" tee-shirts when they're standing next to him…and he just can't be bothered to notice.